We finally have GoPro now back in stock for sale in the Shop. ATBShop have been selected as one of the top independent UK dealers. There are one of only a small number of these GoPro specialist shops so we feel pretty privileged in being chosen even though we have been a dealer for years. GoPro are changing their focus from how they have been the past few years, back to how they were best. Focussing on the action sports and specialist shops that can help the customers get the best from their cameras and footage along with more integration with other devices and apps due for release this year. GoPro want it as easy as possible for the customer to have great footage and share it with your mates! Check out the new Xsensr GoPro app integration that edits your best jumps together and overlays the height and specs on the video ready to share. We have always been a fan of the GoPro cameras and have tested many alternatives but not found anything that really competed with GoPro properly. The GoPro range has also been trimmed down now to just three camera at three prices to make it better and easier for customers to pick the best camera for them. 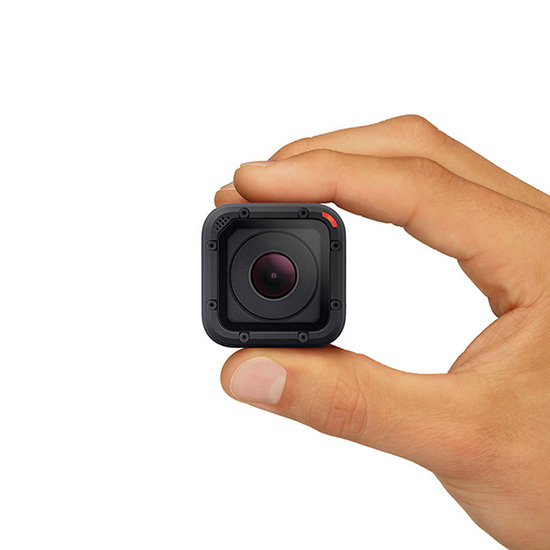 The session has become the entry level GoPro and the best for users wanting as small a camera as possible. 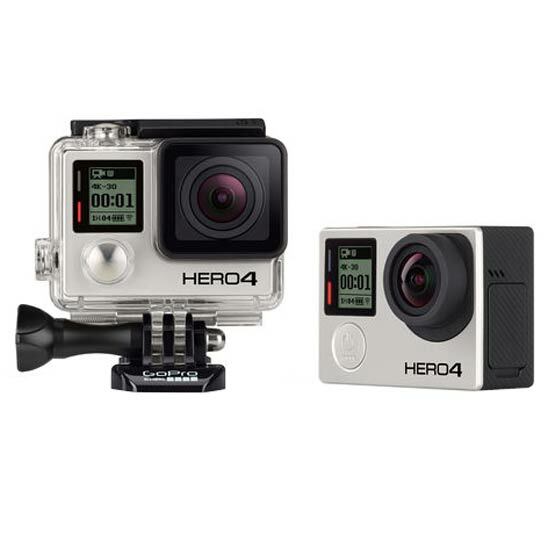 We were slightly disappointed when the session was launched last year as it was the same price as the Silver Hero4 (£329.95)but at this new much lower price it is an awesome camera especially for new GoPro users as it is super simple to use and links to phone for all settings and viewing videos etc. The Silver Edition is the ideal camera for most users. Coming with a lcd screen, swappable/replaceable battery and full 40m depth waterproof case and able to do 1080hd filming at 60fps in a variety of angles of view it is super versatile. If you want to film all day then the silver and a couple of spare batteries are the best option. This is the camera perfect for professional film makers and those that are very experienced with GoPro to get the best from the camera. Amazing quality in standard 1080hd up to 120fps, 720p in an astonishing 240fps and also usable footage in 4k if you have a computer capable of editing or viewing the 4k size. No screen but still full depth underwater and swappable batteries make this the film crew version often seen on TV programmes or on drones. 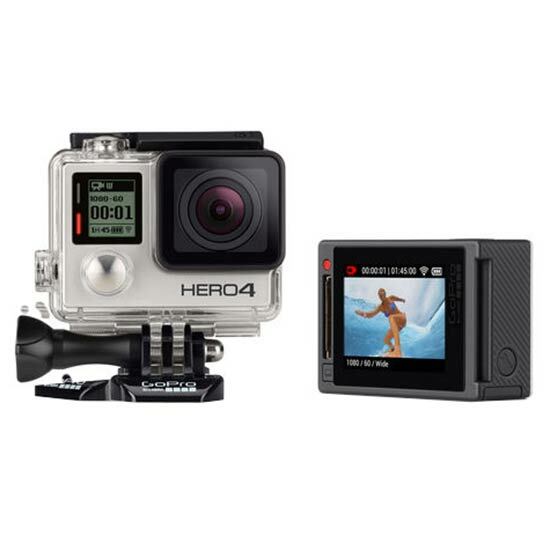 All the GoPro accessories are available again and we have been searching out new and exciting sports mounts like the Wizmount and Camrig kite mounts we also have the new Beast mount wakeboard cable mounts which are perfect with the smaller session cameras. We are super stoked to be working closer with GoPro now and are excited to see the next generation of cameras and accessories still in the works. This fall 2016 should see some new Hero 5 models and also the eagerly anticipated Karma drone finally hitting the market.